In our broad variety of services, we are involved in offering superior quality AMC Services. Our crew of dexterous personnel has profound knowledge in this field, which work round the clock and render these services with superiority within the stated frame of time. Our employees implement all the stages linked to these services in an effective way. The Annual Maintenance Contract is provided to our customers to ensure timely preventive maintenance of their valuable test equipments. Our Customer care team guides our customers in choosing the various AMC plans available to suit the needs of our ever discerning customers. The Annual Maintenance Contract ensures peace of mind of the customer and involves minimal paper work in getting service. CONSUL offers CAMC for all our products. This comprehensive Annual Maintenance Contract provides peace of mind to the customer as the service contract covers regular PMs (Preventive Maintenance) and unlimited breakdown calls during the contract period. Any replacement of spares is free of cost during the contract period and excludes batteries. Looking for a team to manage and maintain your website in line with your emerging requirements We have a team which can do that for you. We are a company offering Drupal services with a track record of over 6 years. Click here and let us know your requirements. In todays fast pace life people do not have much time to manage their own website efficiently. But you must not ignore the consistent website management service because the regular update of website improves the search engine ranking of your website and also helps to make the most of your website in an economical way. It is a comprehensive service contract where Ion Exchange Services undertakes complete responsibility of supply of treated water in required quantity and of desired quality at any client’s place. Right from Manpower to services to consumables are provided by Ion Exchange Services and the client is free of worries. We MAXIMUS water & waste water solutions engaged in carrying out Annual maintenance service for Water treatment plants, Sewage treatment plants and effluent treatment plants and swimming pool maintenance. We are prompt in service of our plants. The response time is generally 24 hours for local and 48 hours for outstation complaints. We take up AMC and services of all type of water and Waste water plants of other suppliers also. 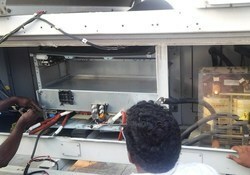 Our in house training of service engineers on regular basis has assisted us in continual improvements of quality. Our responsibility does not end only with the installation of our Unique Parking Solutions. Being counted as one of the Leading Service providers in this Domain, We value the satisfaction of our customers to the utmost by providing them with an option of Annual maintenance Services to our Clients. By understanding the varied demands of our respected clients in the best possible way, we are readily immersed in offering Annual Maintenance Contract Service to our clients. Our executives spend some-time with our clients to furnish their precise demands. As well, these services could be altered by capable executives to meet with the evolutions taking place in this industry sector. 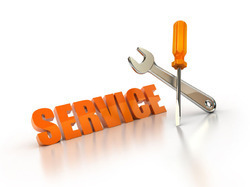 To meet the requirements of our clients, we are offering Annual Maintenance Contract Service. The Annual Maintenance Contract Service offered by us is suitable for various applications and known for its timeliness. Offered services are rendered as per the given budget of the clients. We offer site services such as Supervision and consultation – Technical assistance, Troubleshooting, turnkey Overhauls. Our company is highly esteemed in providing ASC Consultancy Service to the clients. ASC Consultancy Service is acknowledged for well planning, versatility and less time consumption. Provided service is imparted in a precise manner by professional that use progressive techniques in line with industrial market standards.